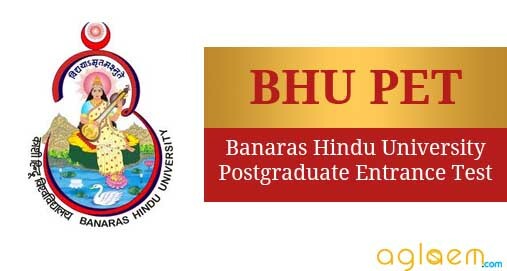 BHU PET Counselling 2019– Candidates will have to follow a certain procedure to appear in BHU PET Counselling 2019 in order to take admission in various courses. The Counselling Process will take place after the results will get announced. Candidates will be issued Call Letters for Counselling. 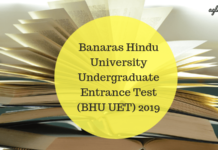 After the availability of call letters, candidates will have to “Login” on the Candidate’s Segment of the Entrance Test Portal which is www.bhuonline.in. After logging in on the Entrance Test Portal, candidates will be able to download their Call Letters. 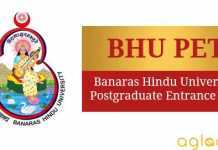 To grasp the information about BHU PET Counselling 2019, be it, its procedure or what are the instructions which have to be followed, candidates can go through this article. Candidates will be sent Call Letter on their registered e-mail IDs and mobile numbers which is why it is advised to candidates to provide correct and authentic e-mail address / mobile number. There will be no postal dispatch of the Counselling Letter. The number of BHU Counselling Call Letter will be approximately two – four times the number of seats available in the course. Candidates must also keep in mind that admission will be done on the basis of merit index obtained in the Entrance Test. Location: [Faculty/Department on the Main Campus or RGSC or Affiliated Colleges]. This preference option is available only if a course runs at more than one location. Choice of the Course: This preference option will be made available only if admission to more than 1 course based on merit rank/index obtained in a Common Test. Seat Type: This preference option is not available for the Special Courses and some other regular/professional programmes (for instance MCA on the main campus). This option is about whether the candidates want seats with regular fee only or they are willing to take admission in Paid Seat if the regular fee seats are full. Important Information: Give your order of preference carefully. No section of the online preference form should be left blank. If any section is left blank, it will be presumed that candidate is not interested in that option. Candidates will get another opportunity of making changes in the entries made in the Online Preference Entry Form on the day of counselling (prior to verification of documents). Admission to Paid Seats will be done after the regular fee seats are full. All those candidates who opted for Paid Seat while filling up the „Preference Entry Form‟ at the time of Counselling will be arranged in order of merit, their preference of a course (as given in preference entry form) and availability of seats. In case a candidate, who initially got provisionally admitted in regular fee seat of his/her lower preference, gets an opportunity of higher preference course/honours/(combinations)/ location under Paid Seat, he/she will be considered for Paid Seat for the course to migrate from his/her lower preference to higher preference. Candidates are advised to reach the counselling venue on the prescribed schedule (date and time) mentioned in the Call Letter. After reaching the venue, contact the Counselling Centre / Venue Incharge and mark the attendance sheet available with the Counselling Centre Icharge. Make a conversation with the teachers at the Counselling Centre / Venue about the available options of PG Courses (if in case of common entrance test is held for admission to more than one course). In case, candidates want to change the preference, they can do so at this stage. When the preference form is finalised make sure you get it printed and then submit it along with asked documents at the Verification Desk. The Preference Entry Form once signed and confirmed by the candidate will be final. The computer will allot the seats strictly in order of merit in the entrance test taking into account the order of preference filled by the candidate and availability of seats. Note: If a Reserved Meritorious candidate is called for counselling along with General category candidates his/her claim on seats reserved for his/her category shall remain intact. What to do if you are Provisionally Admitted? In case you are provisionally admitted, then collect the Provisional Admission Letter from the Counselling Centre/ Venue Incharge at 10:00 am on the next day of Counseling. The Admission Letter will predict the course in which you are provisionally admitted on the date of counseling with the amount of admission fee (regular) which has to be paid also, the deadline for fee payment. If in case you are provisionally admitted in a special course of study or on Paid seat, then you will be required to pay the Special Course / Paid Seat Fee part from the regular fee of the course. Through the payment gateway available on the Entrance Test Portal through Online Payment such as credit card/debit card. Payment of Fee in cash at the Fee Counters. For this, candidates will have to check the location of the nearest fee counter at the Counselling Center / Venue. On the next day after counselling, candidates will have to submit the proof of payment of admission fee to the Venue Incharge. This step is not valid if candidates have done the online payment. In case, the candidates fail to produce the evidence / proof of payment until the deadline, it will be assumed that they are not interested in the admission and their admission will be treated as cancelled. After each day of counselling, fee payment, computerized allotment or re-arrangement of seats will be done on the basis of merit, preference of the candidates and availability of seats. As a last step, candidates must have all the documents required for Counselling. The Marksheet can be downloaded from the Website of the exam conducting body, confidential mark sheets or provisional results issued by the Registrar / Controller of Examinations.